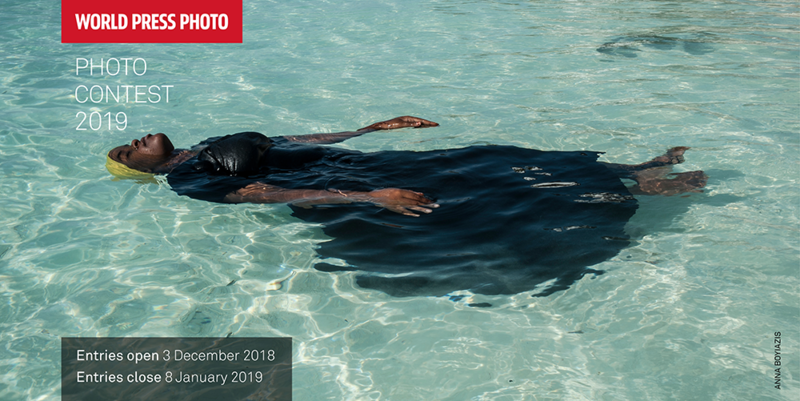 The application contest for the 2019 World Press Photo Contest is quickly approaching. The 2019 World Press Photo Contest honours the best single exposure images that contribute to the world of visual journalism. 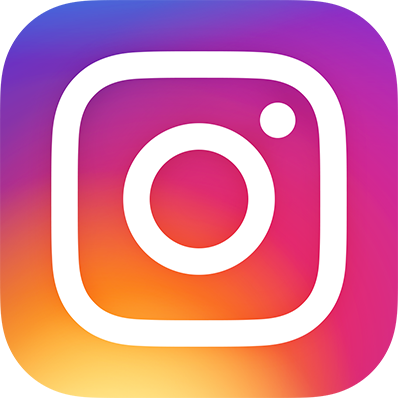 Each image will be judged anonymously by a jury in terms of their accurate, fair, and visually compelling insights on the world around us. Applicants must register by January 3, 2019. 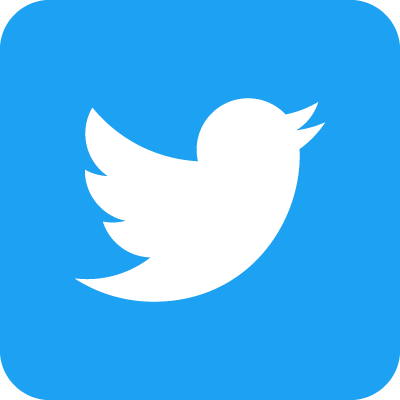 Submissions close on January 8, 2019. The Zeiss Photography Award 2019 is now open for submissions. Participants can submit a series of five to ten images, with descriptions, from now until February 8th, 2019. 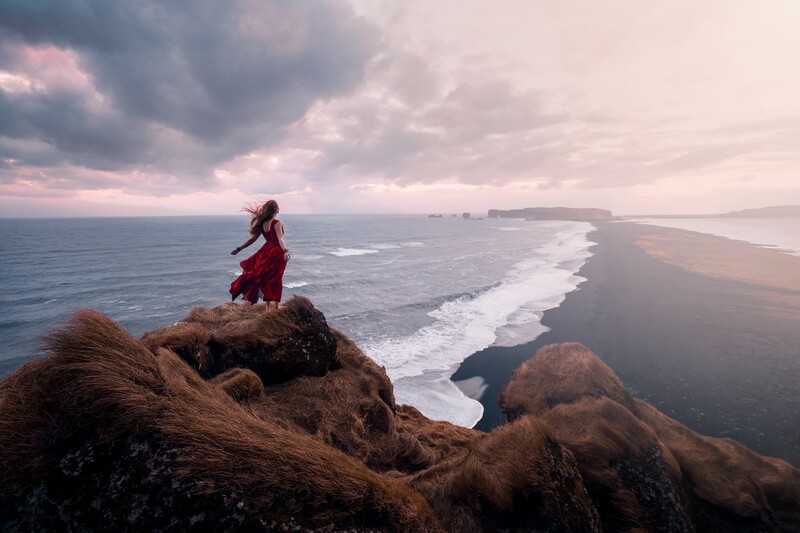 The theme for this contest is “Seeing Beyond – The Unexpected” and the jury is looking for a story of something unforeseen or surprising that is evident in the series of images. The theme is left open to wide interpretation, from political or conceptual ideas, to human expression or physical environments and landscapes. 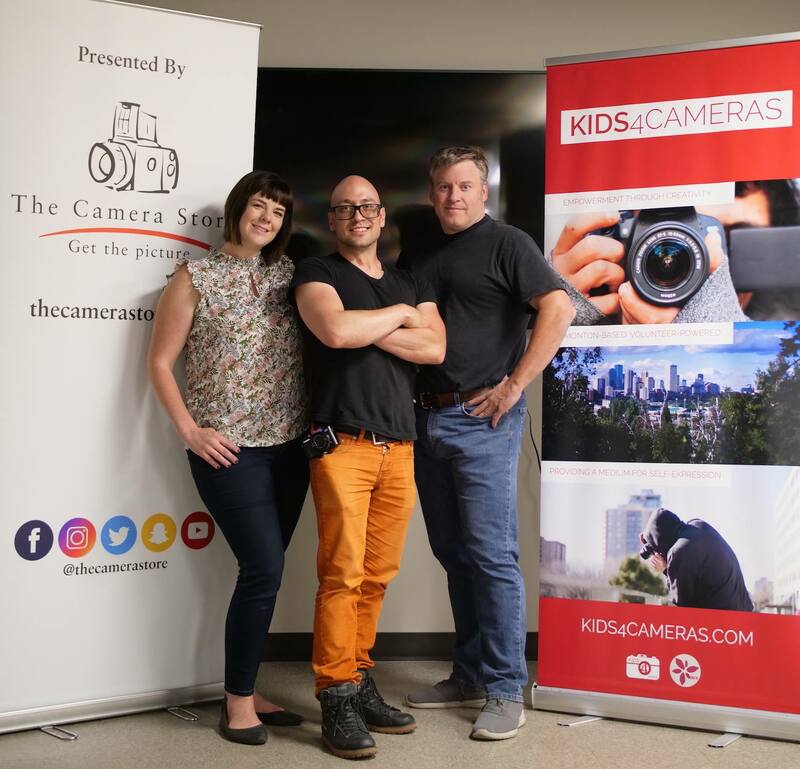 We ran our first Kids4Cameras campaign this past spring, and it was a huge success – enough so, that we’re proud to run another one. We invite you to bring gently used camera equipment into our store between November 16th and December 31st, 2018 for donations to Kids4Cameras. Please remember to bring batteries, chargers, manuals, or any other related accessories for the cameras, if available. Cash donations are also accepted both in-store and online. 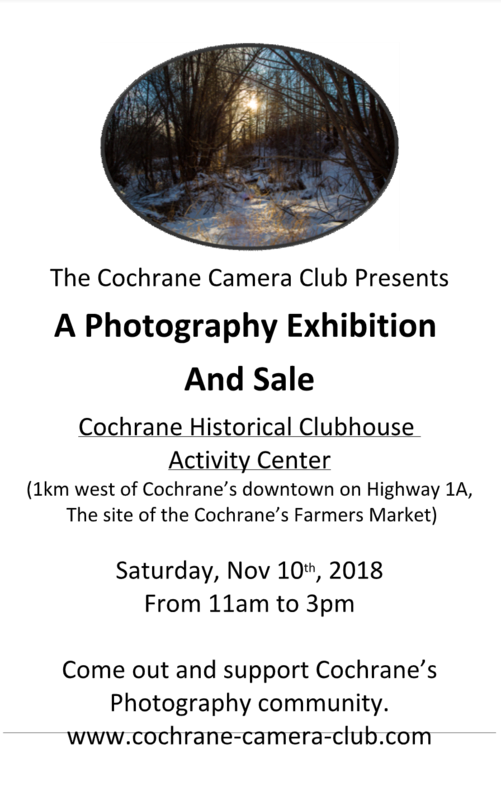 The town of Cochrane will be hosting a Clubhouse Art Walk from Saturday, November 10th, featuring artists of the Cochrane Camera Club. Fourteen photographers will be presenting a wide variety of works at the Historical Clubhouse Activity Centre. The walk runs from 11am to 3pm. The exhibition and sale will be held at the Cochrane Historical Clubhouse Activity Center. The Clubhouse is located just west of Cochrane, with lots of parking in the Ranche House parking lot. Proceed west of Cochrane on HWY 1A and just after the speed limit changes to 60, the parking lot is on the north side of the highway.